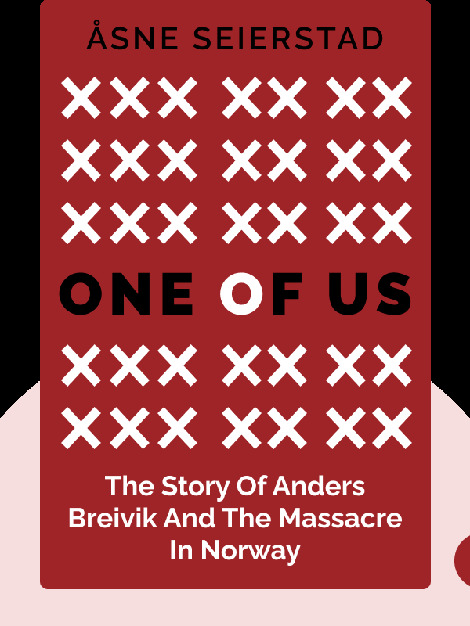 One of Us (2015) tells the story of Anders Behring Breivik, the Norwegian terrorist who killed 77 people on July 22, 2011. 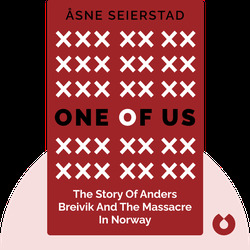 Beginning with Breivik’s personal life and detailing the development of his extremist political views and his planning of the massacre, these blinks give you an unflinching look into the mind of the man who carried out this devastating and senseless attack. Åsne Seierstad is a Norwegian journalist and writer best known for her work as a war correspondent. In addition to receiving the Peer Gynt and Den Store Journalistprisen, the highest honor that can be bestowed on a reporter in Norway, she is the author of The Bookseller of Kabul, A Hundred and One Days: A Baghdad Journal, and The Angel of Grozny: Orphans of a Forgotten War.